I wrote this poem two years ago and posted it with a photo of the Nativity scene I took in our local shopping centre. This time I chose a photo my mother kept framed in a silver frame on her bedside table. It is a postcard she got from my father before I was born and is one of the many postcards he collected when he was in Italy. This one is from the Galleria Pitti in Florence: Madonna della Seggiola by Raphael. 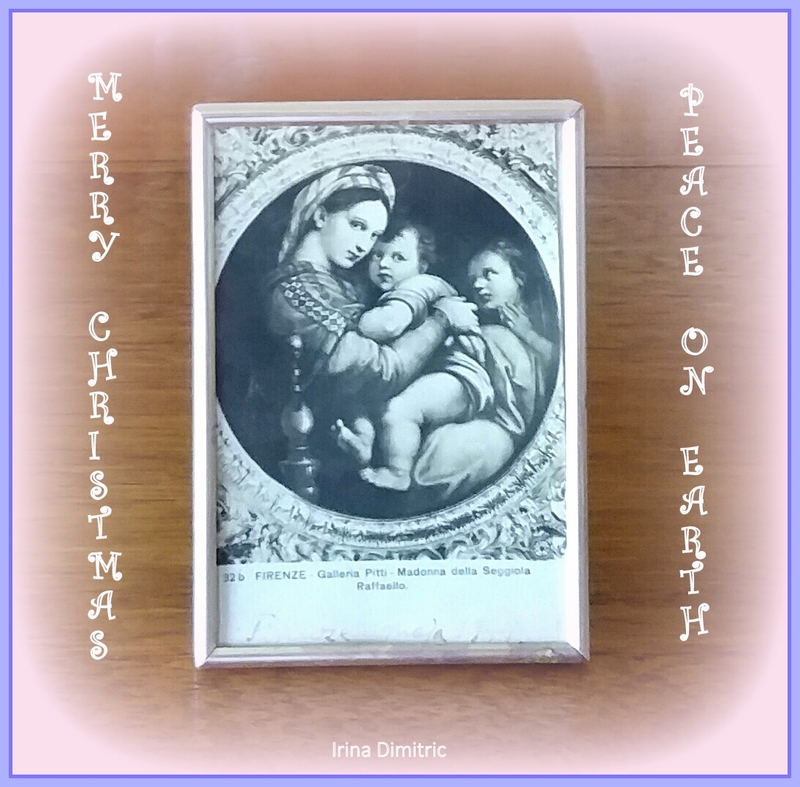 This entry was posted in Form Poetry, Poetry, triolet, Visual Arts and tagged Christ the Saviour, Christmas, Christmas Eve, form poetry, Irina Dimitric, love, Madonna and Child, photo, poem, poetry, postcard, Raphael, triolet. Bookmark the permalink. Merry Christmas! Wishing, for you, love and peace always! Beautiful poem and lovely picture on the postcard, Irina. I can imagine how many memories it holds for you. I hope your Christmas has been wonderful so far, and I wish you a very happy and successful 2019. Thank you Millie. Happy New Year to you too. Lovely! The opening photo is indeed very special. Thank you for sharing such a beautiful thing.